Oprah has admitted she was branded a 'terrible' news anchor and reporter before she found her true calling in 1978, aged 24. Speaking in her new book The Path Made Clear, which is out this week, the talk show host- who was named North America's first black billionaire in 2003 - revealed that she never felt comfortable in her own skin and used a 'pretend anchor voice' when she began her career. 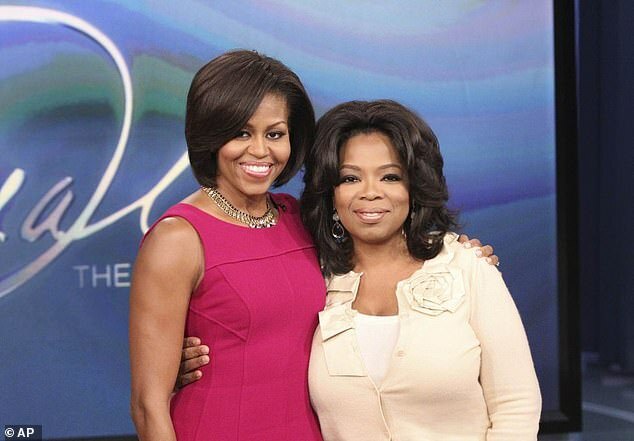 The American philanthropist, 65, who has since been awarded the Presidential Medal Of Freedom by Barack Obama and honorary doctorate degrees from Duke and Harvard, admitted TV bosses at the beginning of her career had told her she was 'the wrong colour, size and showed too much emotion'. 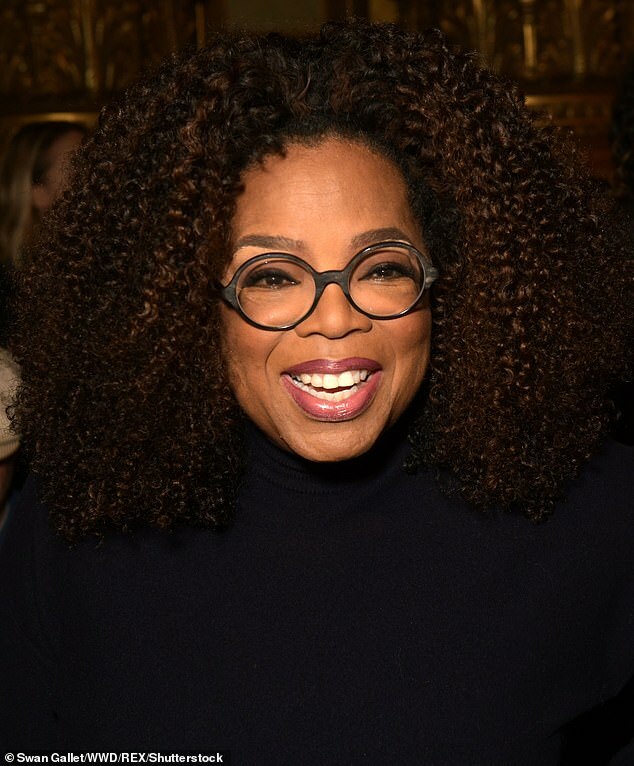 Sharing her wisdom, Oprah revealed that she had since learned that 'the true meaning of courage is to be afraid', giving her top tips on how readers could find their own path. Recalling her her first day working on Baltimore TV show 'People Are Talking' in August of 1978, she said: 'Up until then I'd been a news anchor and reporter. 'I was terrible. I knew it. My bosses knew it and certainly made no secret of their feelings. They told me I was the wrong colour, the wrong size and that I showed too much emotion. 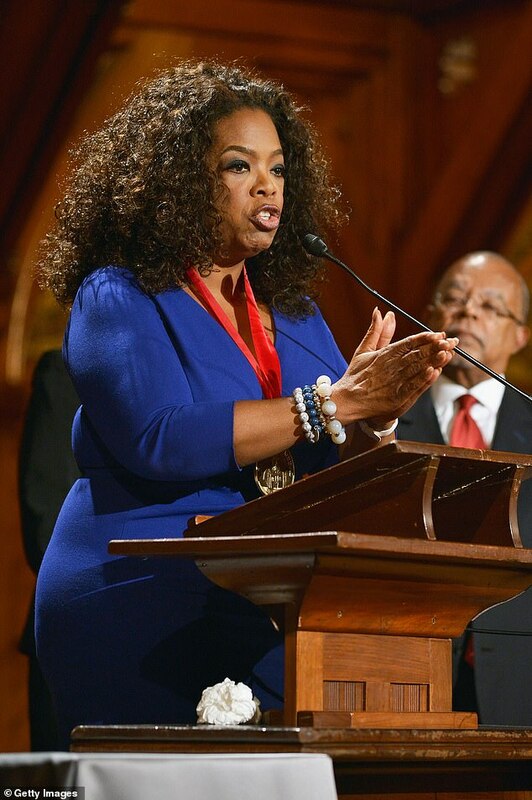 However that same day something changed, and Oprah revealed it was the moment she found her calling. She continued: 'But after one day on this local talk show I was energised in a way that fuelled every cell of my being. There was no doubt that the seeds of what was to give my life meaning and purpose had been planted. 'That day my job ended and my calling began'. 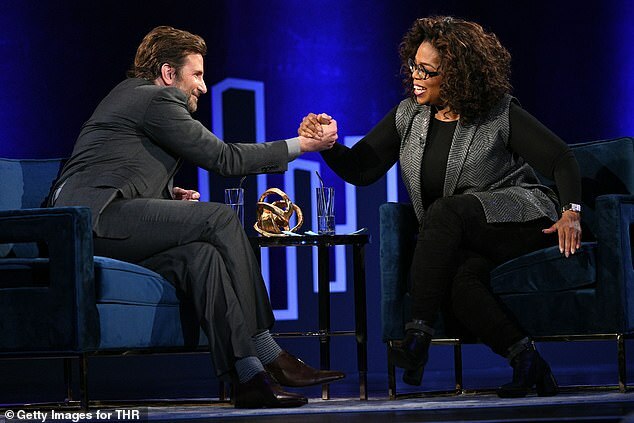 Oprah also admitted that she was terrified she wouldn't have anything 'revelatory' to teach Harvard students after being asked to hold a presentation. However a life-changing conversation with author Steven Pressfiled soon taught her a valuable lesson, that the 'more important an activity is to your soul's evolution, the more resistance you will feel to it'. Armed with this new knowledge, she faced the speech head-on, and was later awarded an honorary doctorate degree. Sharing her top tips to readers looking for their 'path', she advised them to begin by articulating their vision, finding their intention and executing the plan. Concluding her advice, Oprah wrote: 'The true meaning of courage is to be afraid - and then, with your knees knocking and your heart racing, take the leap anyway'. 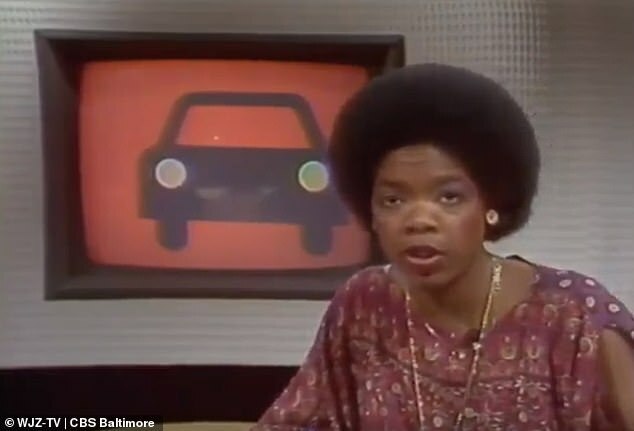 Oprah has previously spoken about being 'fired' as an evening news reporter at Baltimore's WJZ-TV before she was given a daytime TV show which kick-started her world-famous career.